Cover up drafty windows. Use a strong, clear plastic sheet to cover any drafty windows. Make sure you seal it tight to keep the heat in. You can also try installing tight, insulation drapes or shades for your windows. Monitor and adjust your temperature. This is a good habit to get into. 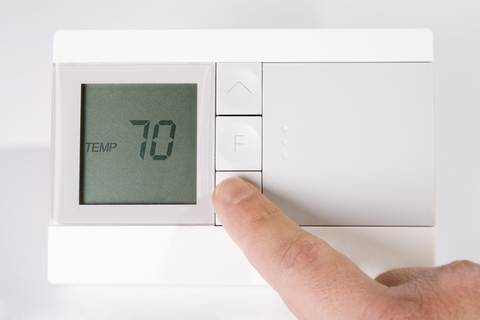 When you’re home, keep your thermostat at a comfortable temperature. Always turn it down when you’re out for the day. The US Department of Energy claims that turning it down your thermostat 10-15 degrees for eight hours can save around 10% a year on your heat bill. Maintain your heating system. To keep your system at its best performance, it’s always good to replace air filters and schedule regular maintenance. If you’re looking to try alternative heating options, make sure you follow these Safety Tips from US News and Money. For more information on how you can save on Energy check out this Energy Savings Guide from the State of Michigan. Lowering your energy use is good for the environment and for your pockets. Stay warm and keep an eye on your heating bills this winter!